The UK commercial recycling manager for Coca Cola Enterprises has said that the company is importing rPET because UK material isn’t good enough. Speaking at the Opportunities in Commercial and Industrial Waste conference in London yesterday, Nick Brown said that the company uses 8 per cent rPET in the UK, but none of this was currently from British sources. 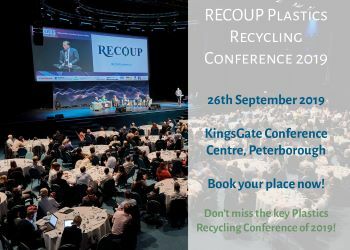 This was the reason that the company was now working in partnership with Eco Plastics to develop a £15 million plastic bottle recycling facility in Lincolnshire to process 75,000 tonnes of PET per year. He said that the company had not been able to get enough quality material from “traditional partners” and had therefore decided to take this step. He said: “We have challenges in reprocessing in Great Britain – the quality is lower than in continental Europe. Coke is in a position to help reprocessors improve quality. We can also help them as an end market user. He added that Coke was helping to improve quality by removing PVC labels and reducing silicon closures to make the items easier to recycle, and enable the company to meet its target of 25 per cent rPET in its bottles by 2012. In his presentation, he also revealed that Coca Cola research had found that only 10 per cent of material such as PET bottles, aluminium cans and glass bottles is deposited on the street as waste. 25 per cent of it came from commercial outlets, but 65 per cent of its material was disposed of at home. However, he said that the company was still committed to its Recyclezones that encourage recycling in public.